New for ICS this week, couldn't resist just posting one cool bit of news ahead of Friday (just like old times). 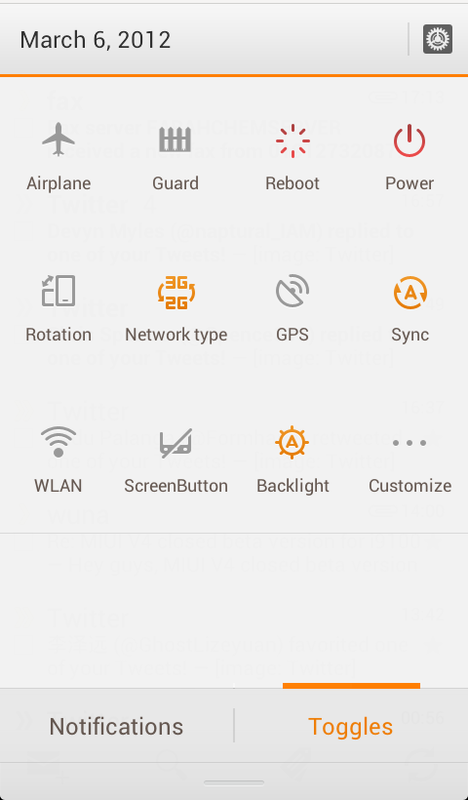 The status bar has been customised to give quicker access to the Settings functions of your phone as well as quicker access to customise the dropdown toggles. ICS is coming along very well, developers are continuing to port GB code over to ICS. Has not been announced. Though seeing as the Defy seems to be a very popular device its quite possible. Though currently the SGS2 and Sensation are in progress. So that'll give us the Nexus S, Mi One, SGS2 and Sensation all with ICS support. Its not in a flashable ZIP nor is it released yet. So nope sorry.